This Gelato Maker is loaded with features which offers a high ease of use. Powerful, with front removal of the products. 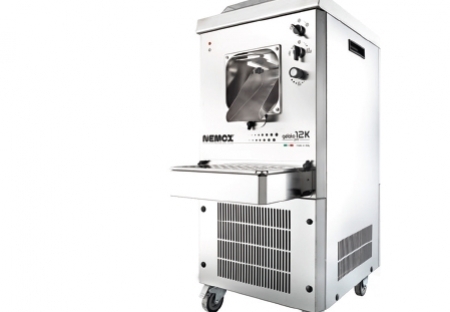 Perfect appliance for the preparation of Gelato, ice cream and sorbets with excellent quality. 2.50 kg per 12 minutes approx 12Kg / 18 liters per hour!